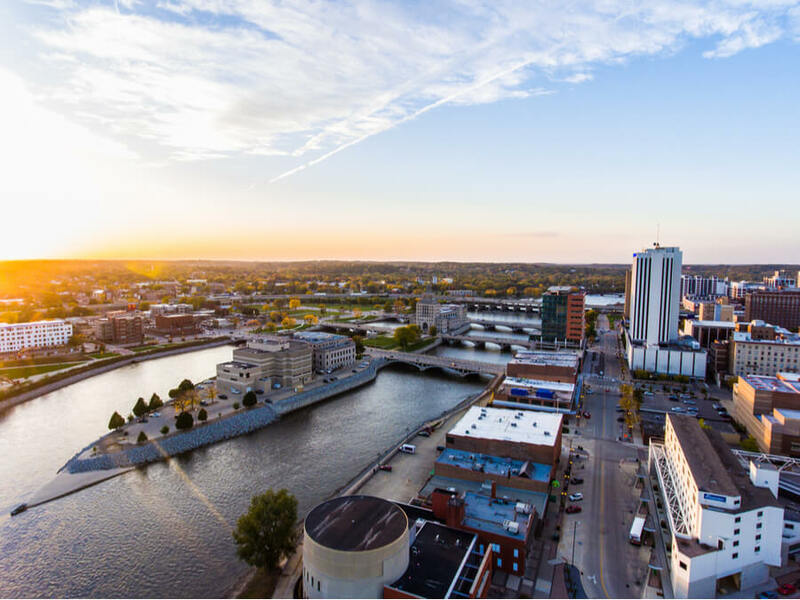 Located in the city of Cedar Rapids in eastern Iowa, Area Substance Abuse Council (ASAC) is a non-profit, private organization which provides treatment services for teenagers and adults dealing with substance abuse issues. The center was founded in 1962 and is well-known for providing substance use disorder prevention treatment to areas across the state of Iowa and operates primarily in Linn, Jackson, Benton, Clinton, and Jones Counties. The center offers clients dealing with substance abuse the opportunity to receive a confidential and thorough assessment in order to determine the type of treatment which would directly address the patient’s needs. Additionally, the organization offers prevention services to both individuals and families. The family program involves prevention services which emphasize learning the skills to assist in the prevention of substance use disorders while the individual prevention services program seeks to identify and address issues before they develop into substance use disorders. Group education and other forms of education programs are offered in this segment. Among the levels of care, the institute provides residential treatment services for men, women, and teenagers. The organization also offers a special residential program for parenting mothers and pregnant women called the Heart of Iowa. Outpatient treatment and Halfway Housing services are also offered by the organization. The residential program for parenting mothers and pregnant women can accommodate up to 36 women at maximum capacity and provides three, 12-unit apartment buildings not far from downtown Cedar Rapids. Each apartment has about two to three bedrooms and families are allowed to live together in one of these fully-furnished apartments. The apartments also feature a dining area, a living room, and a kitchen. Residents are responsible for doing their own laundry, keeping their apartments clean, and taking care of their surrounding environment. The center provides free laundry services in each complex. Participants of the Heart of Iowa program eat lunch and dinner at the facility’s cafeteria. The center tries to accommodate special dietary preferences and needs when they can. The center’s residential treatment program takes place in various settings and environments such as the Recovery Center for adults, King House for men, Heart of Iowa for parenting mothers and pregnant women, and so much more. The treatment provided in this level of care is self-paced and individuals’ wants and needs determine their length of stay. Group sessions are important at this stage. The outpatient program provides group meeting sessions at various times during the week and many specialty groups are available to cater to the needs of specific participants. The facility also provides family and one-on-one counseling sessions. The halfway housing services are offered in a supportive environment and designed to help clients stabilize their lives, seek housing, and successfully transition back into society. The program is designed for men and women seeking recovery who do not have a safe place to return to post-residential treatment and those who are homeless. The usual length of stay at the house is 2-3 months and clients undergo at least 5 hours of substance abuse treatment programming in a week. Area Substance Abuse Council cost varies greatly depending on the type of treatment and level of care a client requires. Assessment tests for Zero Tolerance and OWI costs $192. The facility operates on a sliding scale basis, which means that payment for treatment is calculated based on the household income of the patient. Clients are advised to contact the facility for more information on payment, admission, and others. The organization is licensed by the Iowa Department of Public Health (Division of Behavioral Health). The facility believes in offering programs that promote and enhance complete wellness and as such, offers a small adolescent program called CD+. This is only a small part of what the organization in general offers to clients. Clients registered into the CD+ program share units with adult clients registered in the residential treatment program. CD+ patients also see clients in outpatient programs coming in and out of the office every day, giving the facility the opportunity to create potentials for a large sober community. Clients in the residential program are offered well-rounded, structured, comprehensive, and affordable treatment. The facility also offers tutors to adolescents registered under a program, in other for such students not to fall behind in classes. All in all, Area Substance Abuse Council is a good option for adolescents and their families seeking treatment from substance abuse and mental health disorder.